At VSTBuzz we love hooking up composers and producers with insane deals on incredible instruments. We want as many people to have access to these audio toys as possible, and never want to see someone miss out on a deal because they haven’t got paid yet or just don’t have the cash. 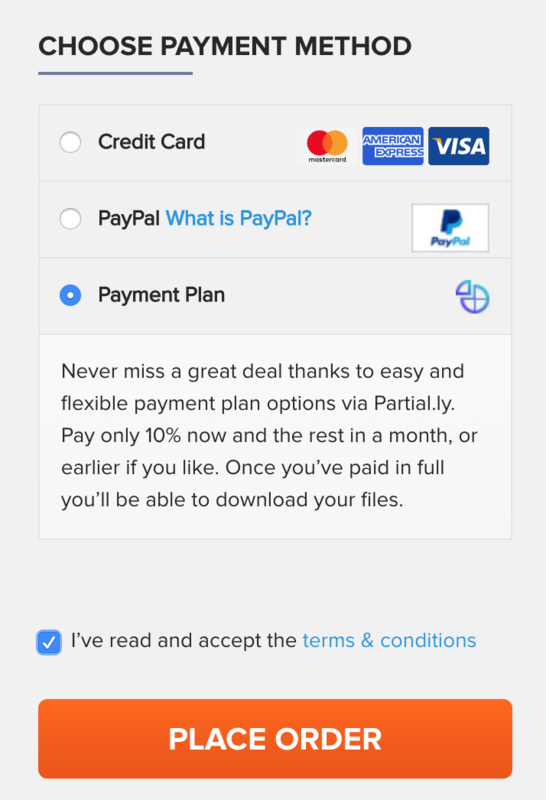 If you find a deal you really want, but it’s not quite the best time to buy, you now have the option to put 10% down and come back to the deal within the month to finish the payment, save money on the deal, and download the product you are really excited about. 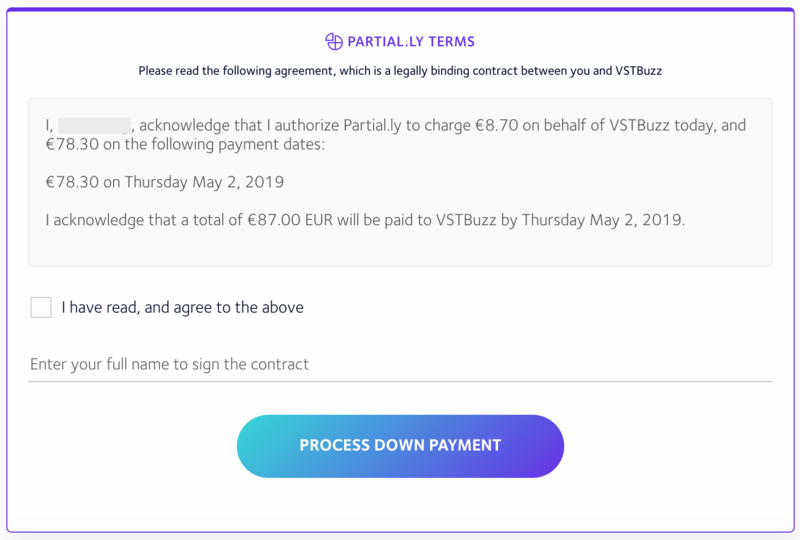 Payment Plans from Partial.ly will be available on every VSTBuzz deal. Pay only 10% of the product price now and pay the rest in a month or earlier if you like. 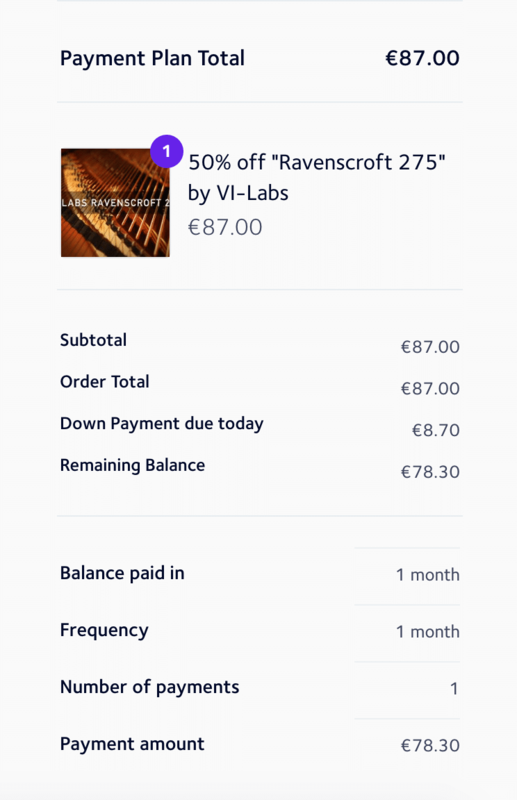 For example, on a product of €87 you only have to pay €8.70! You then have a month to settle your outstanding balance. So if you order on April 2nd you have until May 2nd. Remember you can choose to settle your outstanding balance early. Once you’ve paid in full you’ll be able to download and enjoy your VSTBuzz product! If you have any questions or suggestions about how we can improve VSTBuzz, please let us know!